“One of comedy’s most original voices” (Evening Standard) runs his mouth off about a bunch of stuff nobody even cares about (his words, not ours). See “stand-up of the highest, most playful order” (The Guardian) from the multiple Fosters Edinburgh Award Best Show nominee and Mock the Week regular. @JamesAcaster Superb show at Bristol's Colston Hall tonight. 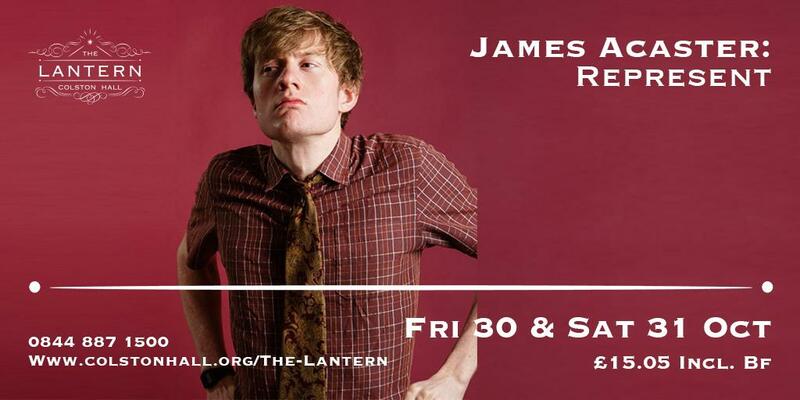 In desperate need of two tickets for @JamesAcaster at @Colston_Hall tomorrow night if anyone has any going spare? Anyone want two tickets to @JamesAcaster at the Colston Hall (bristol) Saturday? I can no longer go :(. it's sold out and he's great! Just booked to see @JamesAcaster at Bristol Colston Hall, only a few more months to wait, woo!